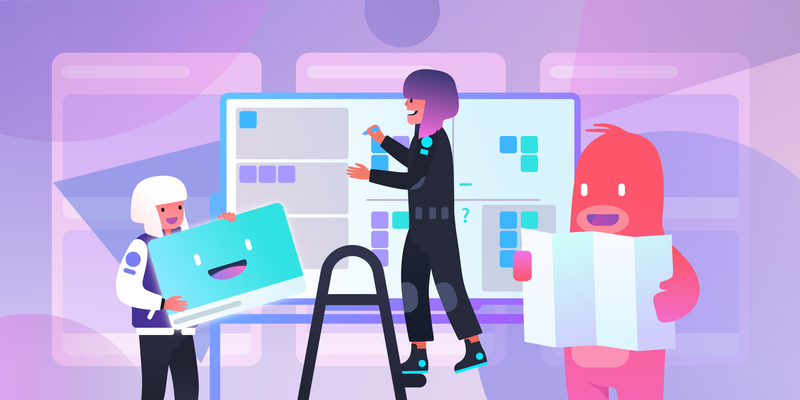 From HR, to IT, to every department and acronym in between, there is a Trello board that helps businesses run smoother. Here is a roundup of six essential boards that, at one point or another, are extremely useful for every member of the company. A single place where anyone at your company can view current projects and company priorities. Create cards for each department and add respective members so anyone at the company can connect with those individuals (far left list). Assign a project owner to each project card. They are in charge of updating the card on a regular basis. 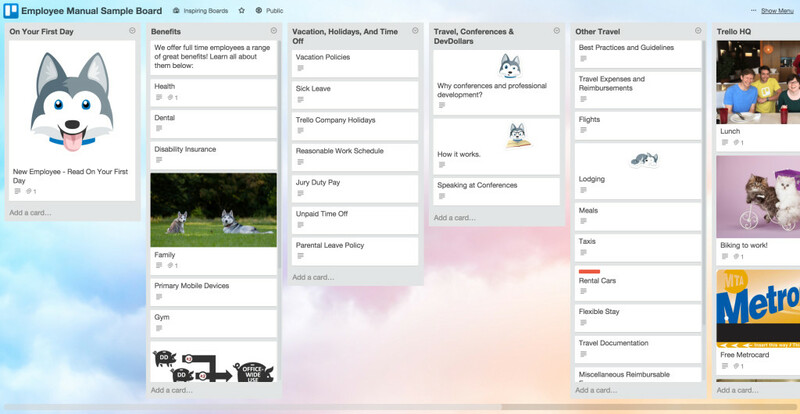 Link to appropriate Trello boards, Slack channels, etc. so that everyone at the company knows where to find more detailed information or relevant discussion. The Card Aging Power-Up can help identify projects that may be falling by the wayside or need updating. Read more detail about this workflow here. Make the first day for new hires a smooth as possible with the New Hire Onboarding board. 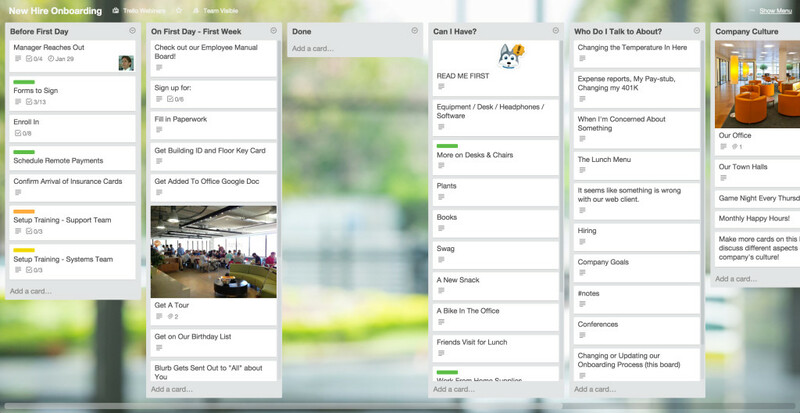 Create a template board that can be copied and updated for each new hire.  Make a card for each for each individual step in the onboarding process. The new hire moves these cards to the “Done” list as they complete each task. Make documents, such as forms that need to be signed, accessible from anywhere by attaching them to relevant cards. Provide answers to all of those first day questions with a “Who Do I Talk to About?” list. Remember to include the primary contact person for each concern. Share your company story and culture to help new hires feel at home and a part of the team. Learn more details about optimizing the first day experience here. A simple and visual way to store all your company’s info. It’s easy to update, easy to search, and accessible anywhere. It is a repository of important company policies, forms, and documents. This info is valuable to _all_ members of the company, old and new. Lists can be broken down into whatever makes sense for your company, such as benefits, policies, and perks. Cards can easily be rearranged to draw attention to more important topics. Use a card’s description field to link to any related websites regarding a topic, and attach any relevant forms, like health insurance and 401(K) benefits, to the card as well. 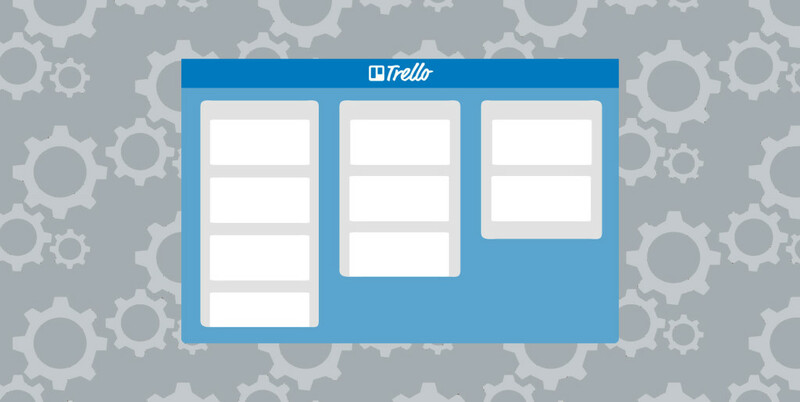 Dig into details of the employee manual Trello board here. Your one-stop-shop for keeping track of IT/Admin requests. It provides a visual pipeline for employees to see the status of their requests. The “How To Use This Board” card in the top left corner shares how to create ticket requests on the board, as well as where to contact someone from IT in case of emergency. 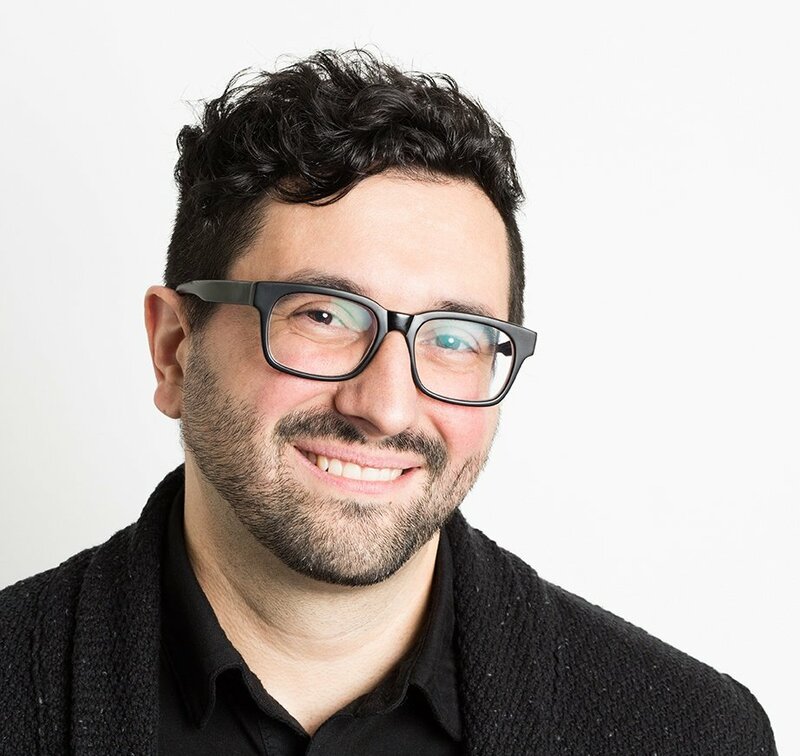 Cover frequently asked questions on the “I Need Help With…” list to cut down on support tickets. To create a ticket, all someone has to do is add a new card to the “Incoming” list with the request. IT team members can pick up tickets by assigning themselves to cards. The Package Tracking Power-Up for Business Class makes tracking the order status and delivery of packages a breeze. 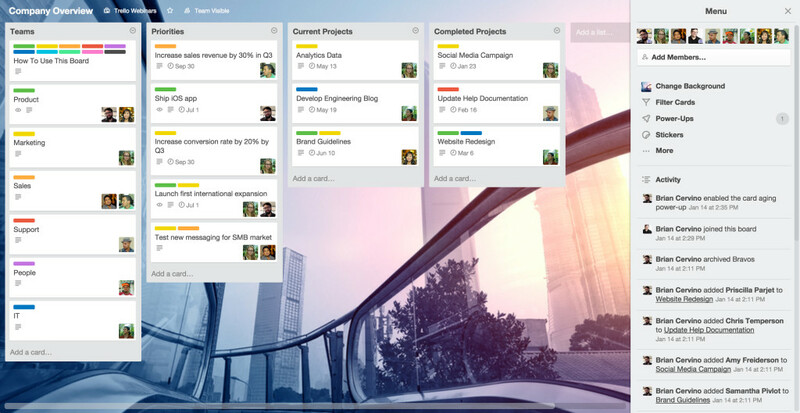 Learn more about why IT is EZ with a detailed writeup from Trello’s IT Support Manager. 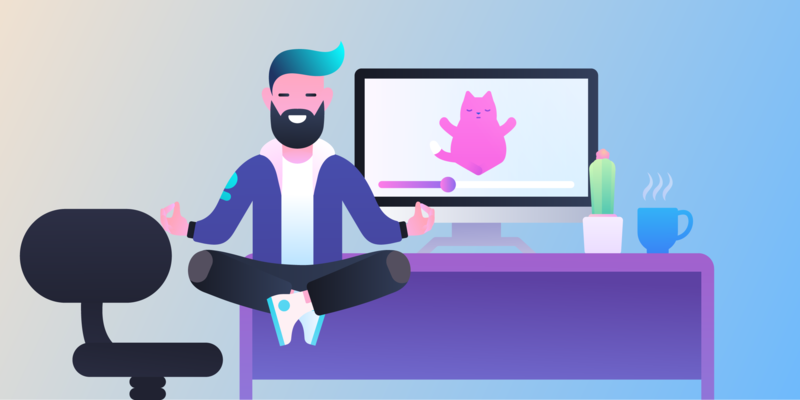 Create a transparent company culture by holding regular company wide meetings that are an open forum for anyone to ask questions or discuss what is on their mind. The first list on the board covers general Town Hall operations and information, such as the next scheduled meeting, how to join meetings remotely, and guidelines for presentations. 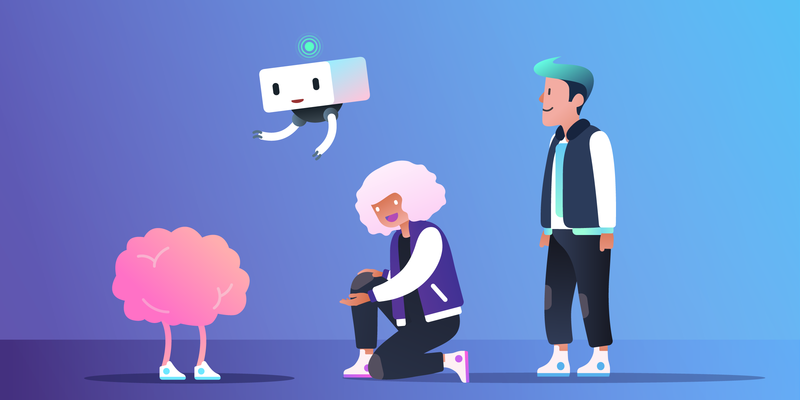 The “Announcements/Questions” list is an open forum for any employee to be able to ask questions, voice concerns, celebrate great work, or update the company on their latest project. Recognize achievements and milestones with “Bravos.”. Add a card with the name of the person to be congratulated and leave a description about how they went above and beyond. 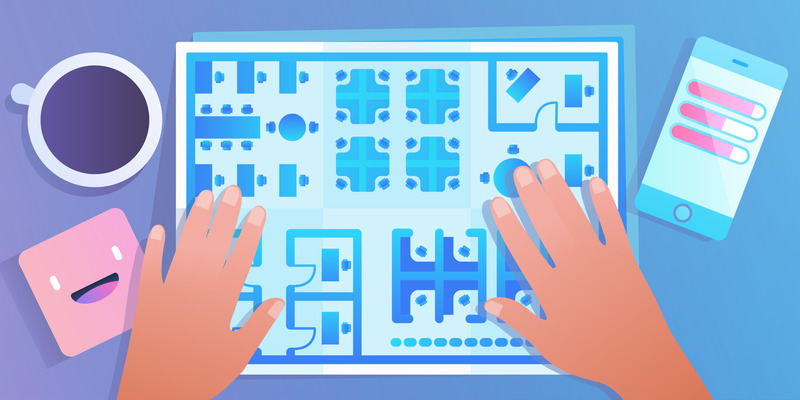 Keep a history of past Town Halls with a summary of each meeting’s minutes, and provide a list for each meeting that keeps cards available for future reference. 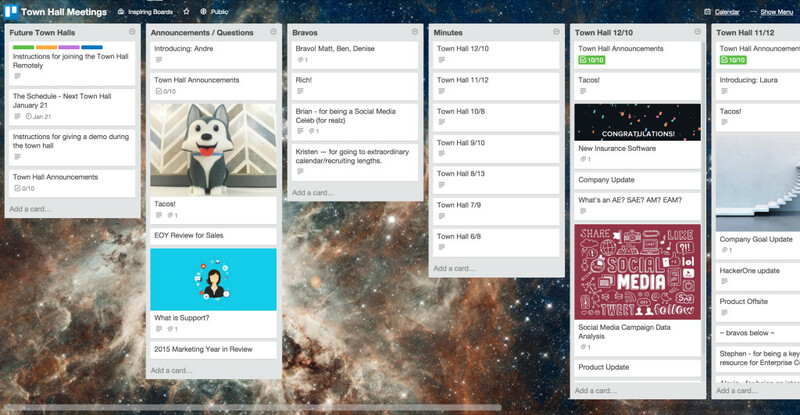 Read more details about running all company meetings on a Trello board here. 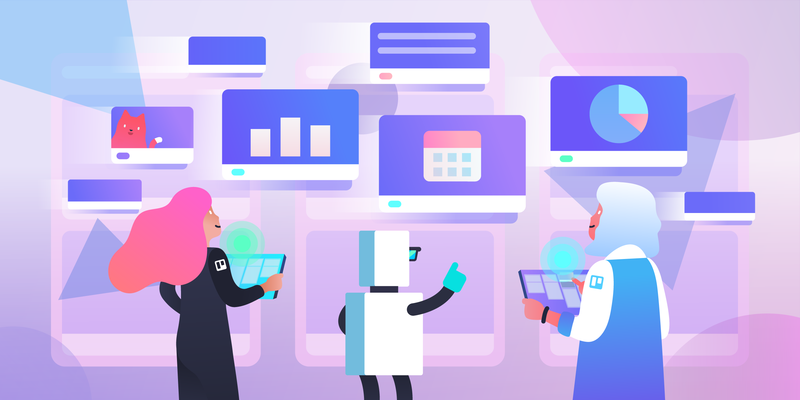 A great way to not only keep your team but also your users up to date with what is being worked on, what’s up next, and what has shipped in one easily updateable, visual location. 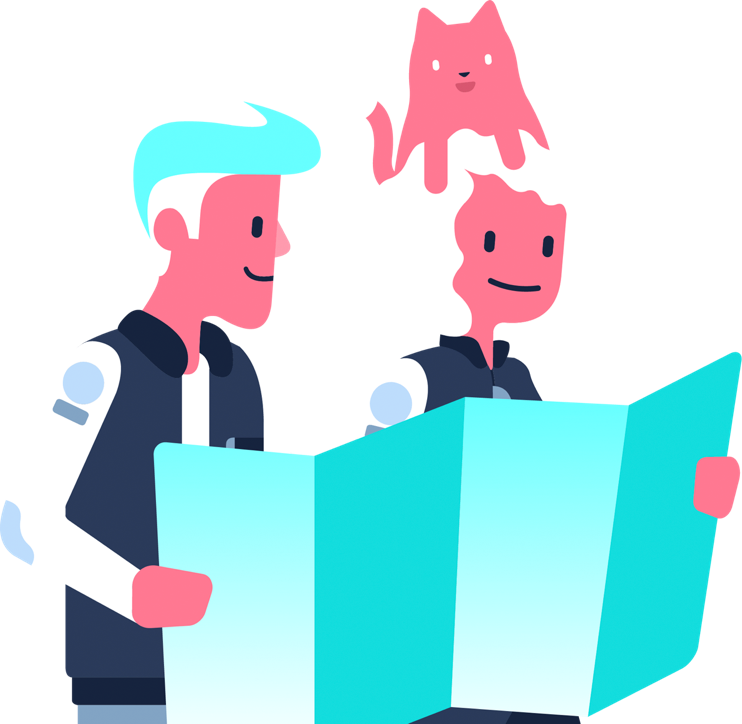 Roadmaps can be internal only, or they can be made public and shared with your user community. 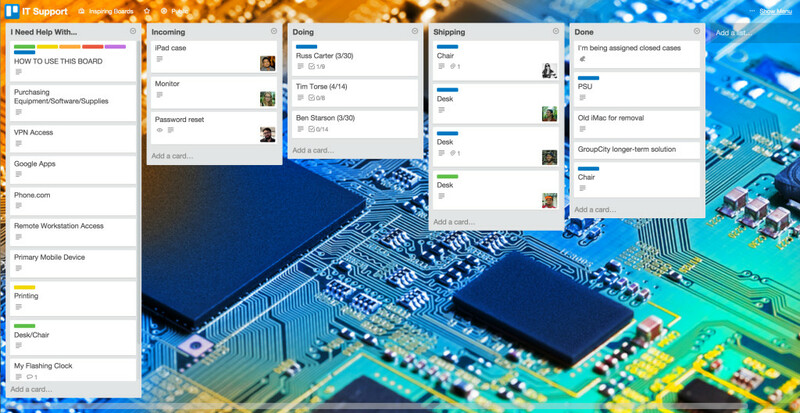 If you are creating a public roadmap, add a card where users can add feature requests or feedback as comments. Create a list for what is upcoming and in progress. When those features ship move them to a “Shipped” list. 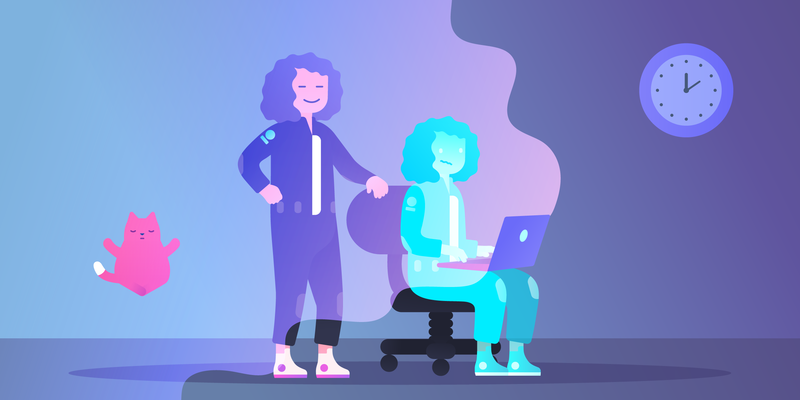 Enable the Voting Power-Up to allow teammates or community members to upvote the features they are most excited about, which can help steer product planning decisions. Get in depth feedback from your user community by attaching surveys to cards with the SurveyMonkey Power-Up. 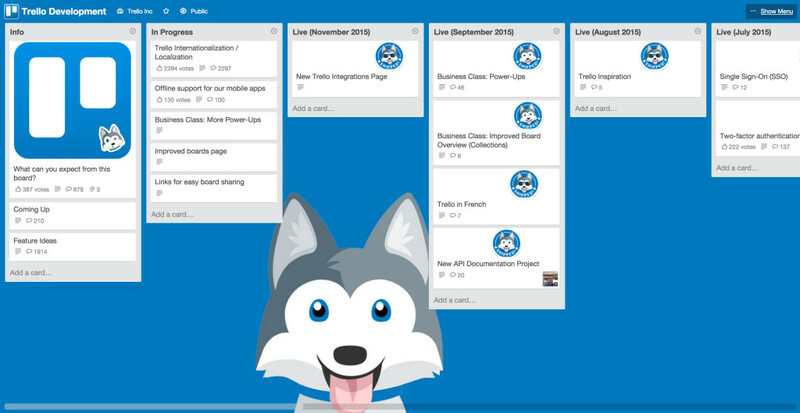 See how other teams have benefitted from a public roadmap in Trello.